Are You In Search Of A Day Care For Your Child? Here Are The Things You Need To Consider! Are you a working mom? Every working mom becomes very nervous about her baby when it is the time for her to back to the job. Cool! No need to worry, day care is the best option for your child to join. This choice may be wrenching for you. You may be bothered about how the child would be without you throughout the day. 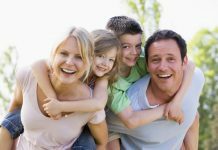 All these problems can become easier if you and your partner recognize that your child would find the most excellent care in your absence also. So, after knowing this, how can you do this? Choosing the right day care is utmost important for every parents. Frankly speaking, choosing the right day care is not that easy. This can be an overwhelming task. Being a parent, it is your duty to ensure that your child is safe and happy in a day care environment that is nurturing, educational and fun. Up to 70 percent of the parents put their children in a day care. You need to follow specific guidelines whether you put your child in an in-home day care, center-based day care or a pre-school or someone’s home for the daily care setting of the child. You must ensure that your child receives quality and professional care fit for the needs of your child development. One of the most important factors that will help you in determining the type of day care for your child is to know your own child. This includes knowing his or her behavior [Child Behavior Problem], temperament, likes and dislikes, health and interests. A day care for an older child needs to be in a way that it should help in their development, intellectual curiosity, learning, and play styles needed for individualized attention and interaction with other children. 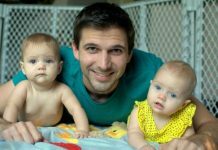 Your family values and your child’s emotional needs must also be a factor in determining the kind of day care that a parent should choose for their child. Your family comfort level and the type of child that you have helps in determining the day care for your child. Most of the parents are very anxious about leaving their children with one person. If your child is about three or four years old, it will be excellent for them have some exposure to new kids and take part in structured program like preschool environments. 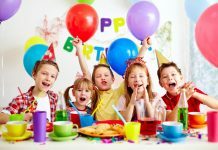 If you are decided to join your child in a day care, it is very important for you to inquire about any other alternatives are there and also know about its reputation, location and the cost. What you need to look for in a day care? First of all you need to make a list of the qualities that a day care needs to have for your child’s development. You need to think about the day care’s flexibility, experience, religious background, and discipline belief. Also, you need to look into any religious or cultural beliefs that you want the day care to convey to your child. Do you have any day care center in your mind? Spend some time to observe them and inquire to the parents of children enrolled in the day care. Hare are the questions you need to ask before going to join your child in a day care center. Also, you need to detect if the day care has an “open-door” policy on visiting your children. Also, inquire about any other alternative arrangements that the day care will provide if the program closes, and at what holidays the day care will be closed. Find out about the policies on caring for sick children, and how they observe the kids on the playground. Also, you need to observe about the playground equipments and whether it has been checked for children’s safety. Ask about how they group the children, and how they welcome and group the children with varying religious, cultural and ethnic backgrounds, and also children with particular needs. Find out the people’s backgrounds who are responsible to care for your child and teach your child. These questions are very helpful for a parent to compare the day care’s values of development, discipline, and child education interconnect with their individual vision of how their child must be guided and cared for every day. One of the most important factors in picking the correct day care for your child is, trust the program or provider, and think that your child will have the opportunity to grow, learn, and be happy in the day care environment that you have preferred for his/her. So finally you have made a decision that your child is in the need of a day care and there is no need to feel bad about it. At some point through the childhood life of most of the children, other than you they need to be taken care by someone else. Various alternatives are available for families who look for day care providers. After deciding what is required for your child, now it is the time for you to choose what type of day care you will need for your child. Some of you prefer for the one-on-one contact of in-home day care providers. In-home day care is also referred to as family day care; it offers a more personalized attention and also a homey atmosphere for your child. Generally, as a parent you will allow various other children into the home during the day. This is a less expensive alternative than being paid a nanny or an au pair at home. This is a good alternative until the caregiver is actually able to deal with several children and able to offer every child their need. Your child is more likely to develop his/her skills by being together with other children in a more home-like atmosphere. When you decide about an in-home day care, it is most important for you to meet the person who is responsible for your child care. Also, observe and watch the setting that your child will be in. Ask the questions to know more about the caregiver’s priorities, strengths, interests and experience with children. You need to give the information about your child’s needs like interests, diet, habits, medical history and also your expectations from the caregiver. It is better to find the references of other families who have or have had their children stay with the caregiver, and check them out. It is one of the most cost effective alternatives to care for your child. Out-of-home day care can be done in two types; one is in day care centers and the other is in private homes – this is most commonly called as family day care. You need to know about these day care alternatives before joining your child to make sure that you have made the right decision for your child. These day care centers offer good working hours with shift workers, so they are open from early hours in the morning until evening. This is main reason to prefer day care centers by most of the working moms, but they also have long waiting lists. If you are decided this alternative for your child care, you need to start searching for a day care center during your pregnancy only. What you need to find in a day care center? You need to find out whether the day care centers have activities to encourage communication among parents. 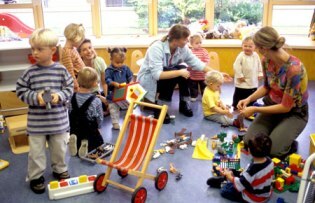 It is most important for you to find out about the training that workers of the day care have. 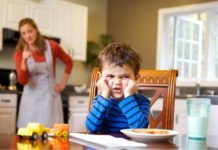 This because a poorly trained and dissatisfied worker may possibly not have the patience or ability to fit with the demands of together the children and his/her own frustrations. Finally this results to neglect or abuse of the children. 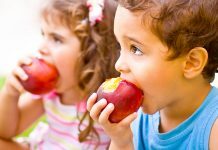 These factors will give you an idea about the environment that you are placing your child in. The management of day care centers is in the hands of private owners, or by non-profit organizations like educational institutions, parent’s cooperatives, or municipalities. The day care center that you have chosen for your child must be licensed and should be governed by regulations like the aspect of caregivers to children ration. One thing you need to keep in mind is always select a day care center that is licensed. Also, you may select a day care center that has additional certification from government organizations. If the day care handles infants, the proportion of adult-to-child must ideally be 1:3 and it must not exceed four. If the day care has the children of ages between two and five, the adult to child ratio is 1:5. Plan a schedule that you have found most attractive to your child and also bring your child with you for the visit. 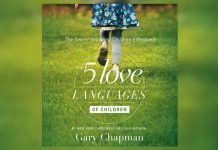 This helps you to observe on how your child will react to the caregiver, and also how the caregiver deals and interacts with the children. Does the caregiver susceptible to the requirements of every child of various ages? How does he/she react to a crisis situation? If you visit early in the day, observe how does the caregiver responds to a child who is upset from being left by their parents. Does the caregiver give parents a chance to express concerns? Is your child offered with adequate attention to reduce the pain of being divided from their parents? 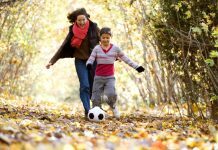 Is your child caringly assisted in making the change from one activity to another? When you are talking with the caregiver, do you feel he/she respects your feelings and your relationship with your child? Also, watch for the overall cleanliness of the center. Allow your instincts to give you the analysis. 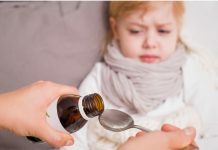 Check whether the physical environment is safe for your child or not like medicines or detergents within the reach of your child or not, and all the light sockets are covered or not. 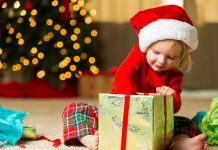 Observe the kinds of toys that are given for your child and whether these toys provide innovative play and ability building activities. Once you have joined your child in a day care, one way of ensure that you have made the correct choice of for his or her security is doing unexpected visits during the day. No rule is there which restricts your meet for your child, if you find any question the authorities and find out the reason behind it. Finally, the most important thing is do your best to place your child in a day care. Whether the day care you have chosen is in-home or out-of-home, it is best to choose with all the possible considerations of development, safety, happiness and learning of your child. Next articleHow To Obtain Child Care Grant For Nurturing Your Children The Right Way?